The Languedoc-Roussillon region is a popular tourist destination that has everything to offer. Gastronomy, beautiful landscapes, diverse activities fulfil every visitor and its exceptional location close to Spain and at the foot of the Pyrenees allows for nice walks. 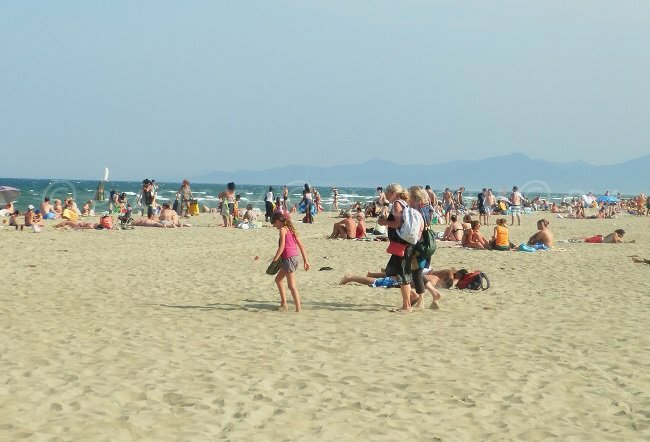 The department of the Pyrénées Orientales has many seaside resorts to offer, Argelès-sur-Mer, Saint-Cyprien, Canet-Plage and Port Barcarès are among the largest ones, and one simply has to choose according to one’s desires! Canet-Plage is the closest to Perpignan, about ten kilometres away. It offers pretty streets, the castle of Esparrou and shady squares to tourists seeking authenticity. The Canétoises, beautiful mansions from the last century, are to be discovered by strolling through the city, before a change of scenery on the 3 km long promenade along the large beach. 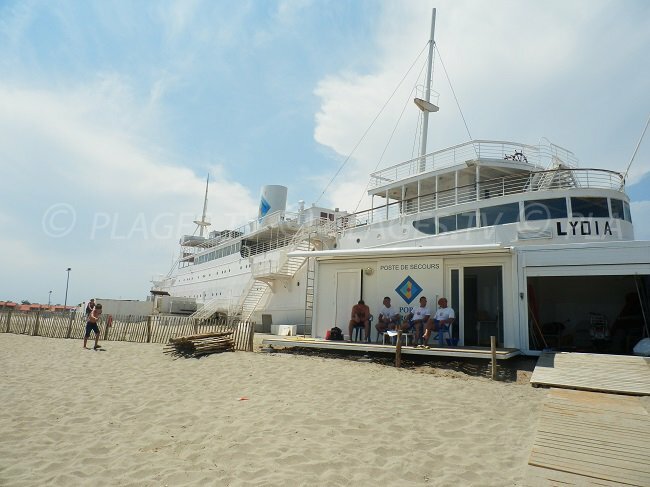 The resort is very sportive: jet skiing, sailing, diving but also the discovery of the pond of Canet Saint Nazaire are part of the activities on offer. The large sandy beach is divided into several areas. Lido Beach is the wildest and the main beach is the nearest to the city centre. One can discover at the bird sanctuary fishermen's huts and observe over 200 bird species. 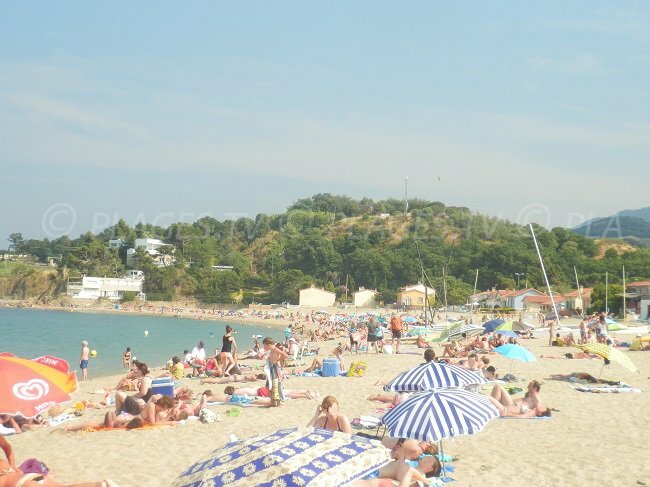 Argelès-Plage is known for its many campsites and relaxed atmosphere. Diving enthusiasts are quick to discover the wreck of the Bananier, a cargo ship beached 47 meters deep, one of the most beautiful diving spots in the area, while others enjoy 7 km of beach towards Racou, an area where small typical houses are located, and which have lost none of their charm. It is also on Racou Beach where there is a transition between the wide, sandy beaches of Languedoc and the small beaches of Côte Vermeille. Porteil Cove is the first one before reaching the famous beaches of Collioure with along, houses painted with bright colours and colourful boats. A few kilometres away, Saint-Cyprien is the perfect picturesque village. Culture has a place of choice; one can visit many museums, including the foundation of François Desnoyers containing several masterpieces, Picasso, Toulouse-Lautrec or Miro. The 5 km beach of Saint-Cyprien is punctuated with two ports and several marinas that welcome many tourists on vacation, becoming the third European marina. 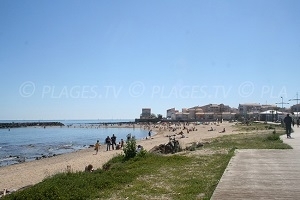 The large pier bordering the coastline is a popular promenade but nature lovers can visit the Bocal du Tech, wilder and in the town of Elne (but near St Cyprien). The beach of the city center is very well equipped with a kids club, restaurants and numerous sports activities. 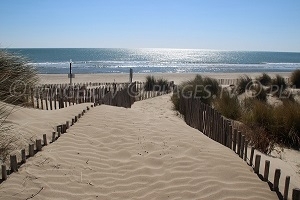 Pont Tournant Beach is also very popular for its proximity to the center and its wild side, near the marinas. 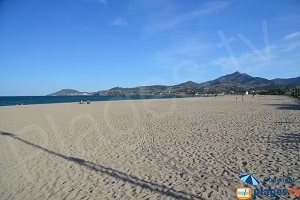 Finally, the 7 km of beaches in Port-Barcarès are among the busiest in the Pyrenees Orientales! The fishing village is located alongside Lydia, a beached liner welcoming restaurants and a beach casino, the village and the lake offers unspoilt nature where there are still some "casotes", old fishermen's houses. Many markets take place around town day and night and on the beach athletes and families mix together. For more tranquility, nothing beats the discovery of the surroundings of the four successive resorts, the opportunity to come across many more secret areas and small and less frequented beaches while enjoying exceptional landscapes and one of the most pleasant climates in France!